Christopher will lead the program’s development and expansion as it adds a new cohort format to the Master of Science in Health Informatics Program and a Post-Baccalaureate Certificate in Health Data Analytics; both are anticipated in Spring 2017. Joining JU in April 2015 as an Assistant Professor in the BRCHS School of Nursing, Christopher has been a nurse for more than 19 years. She received her BSN and MSN from the University of North Florida. 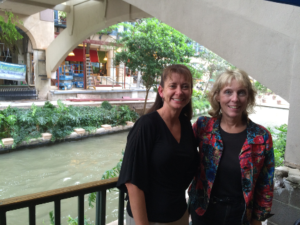 School of Nursing Professors Dr. Roberta Christopher and Dr. Teri Chenot enjoying the San Antonio Riverwalk in May. The founders of the Florida QSEN Center were in Texas to present at the 2016 Quality and Safety Education for Nurses (QSEN) National Forum. Christopher recently completed defense of her doctoral dissertation, “The relationship among presenteeism, absenteeism, nurse safety outcomes, and qualitof care,” as part of the requirements to complete her doctorate of education, with an emphasis on curriculum and instruction. She is an ANCC board certified nurse executive, and is board certified as a healthcare technology specialist clinician/practitioner consultant (CHTS-CP) through the American Health Information Management Association (AHIMA). She is also an active member of the AHIMA and the Healthcare Information and Management Systems Society (HIMSS). Christopher was credentialed by EPIC in electronic health record (EMR) report writing and inpatient clinical documentation. Dr. Christopher preparing for the Ironman 70.3 Relay Team. Christopher serves on the National QSEN (Quality and Safety Education for Nursing) Practice Task Force concentrating on Magnet and Research. 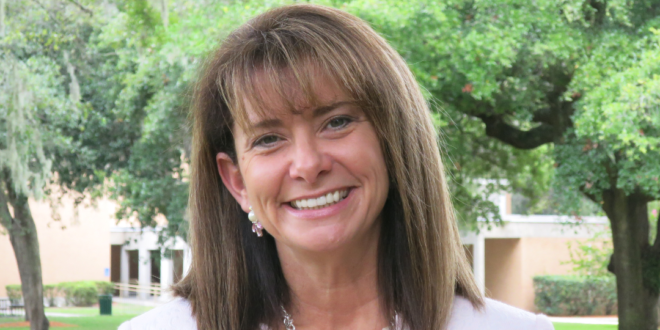 She is also the co-director of the Florida QSEN Center with Dr. Teri Chenot. In March of this year, Christopher and Chenot organized the free 2016 QSEN (Quality and Safety Education for Nurses) Summit at JU, an outgrowth of the Florida QSEN Center that the two created. Nearly 200 nurses and nursing leaders, educators and students attended the event, which was the first Florida summit to address how nurses can improve patient safety. Christopher also serves on the Florida Action Coalition’s (FL-AC) Leadership Team, and is President-Elect for the Sigma Theta Tau Lambda Rho Chapter-at-Large. She also serves as a member of the JU IRB and is the Chair of the BRCHS Technology & Resource Committee. 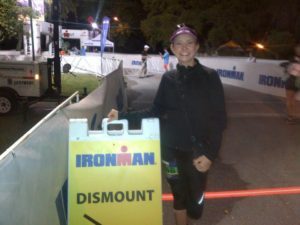 Christopher loves to run and has completed a Spartan Sprint, Ironman 70.3 as a Relay Team participant, and several half marathons and triathlons. Her appointment as new Director of the Health Informatics Program in the School of Applied Health Sciences was effective Aug. 16.